Feel like someone’s behaviour is not acceptable? Or feel someone is not behaving professionally? Everyone in the University has the right to expect to be treated with respect and professionalism at all times. If you think there may be a problem and want to talk in confidence to someone in the Department you can contact Cathie Clarke (cclarke at ast.cam.ac.uk) or Angela Macharia (am2730 at ast.cam.ac.uk), the Department’s own Dignity @ Work contacts. If you contact Cathie or Angela they will do what they can to support you in an informal way. They may advise you to contact the University’s Dignity @ Work Contacts who provide confidential advice to anyone across the University who might feel that they are experiencing difficult working relationships, including bullying or harassment. You don’t have to make the local contacts your first port of call – you can raise a concern directly with the University’s Dignity@Work contacts. If you would like to talk confidentially to a Dignity @ Work Contact, you should call (7)65031 which is a confidential voice-mail number and leave your name and contact details, or email dignitycontacts@admin.cam.ac.uk with your name and contact details. 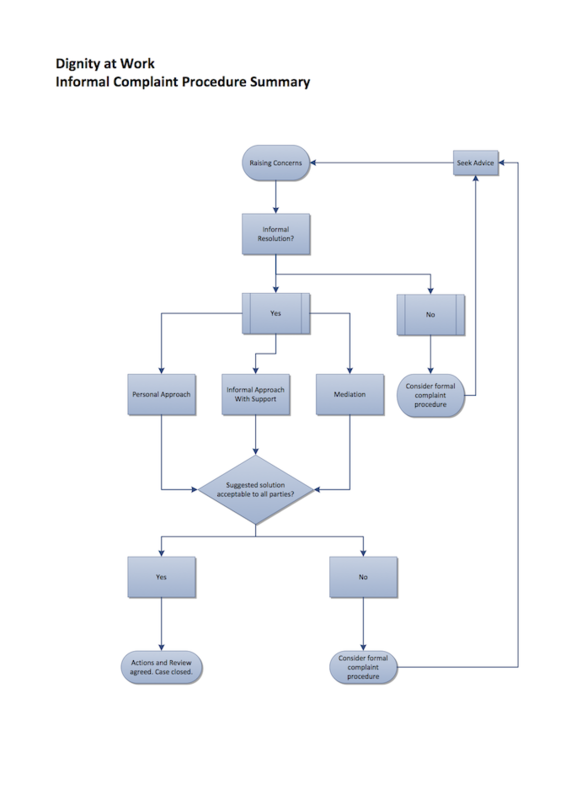 The flowchart below shows what you might expect the process to be if you raise a Dignity@Work concern. All stages would be treated confidentially.